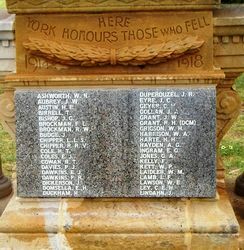 A monument commemorates 57 soldiers who died in service or were killed in action in World War One. 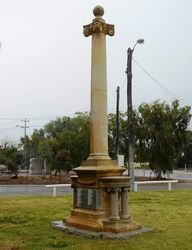 It is a large stone monument with carved pedestals placed either side of the monument. Polished granite name plaques are affixed to the lower half of the monument.